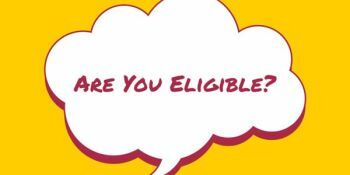 In order to be declared eligible by the NCAA Eligibility Center all athletes undergo a screening process on the basis of athletic and academic criteria. 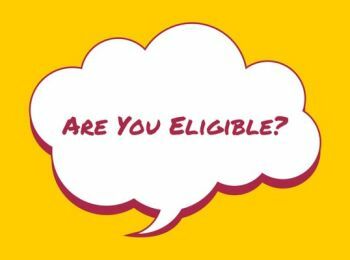 This week's Friday Scholarship Guide is about NCAA eligibility criteria for entering freshmen in Division 1 teams. 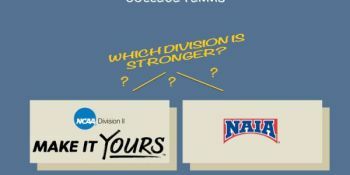 We'll cover NCAA Division 2 and NAIA in separate blog articles at a later stage. We're extremely happy to have one of the currently best college tennis players give us his personal Top 5 reasons why he loves college tennis in today's Friday Scholarship Guide. You'll see that the team spirit and the mere fact of being part of a team in an individual sport like tennis have played a major role for Sebastian. 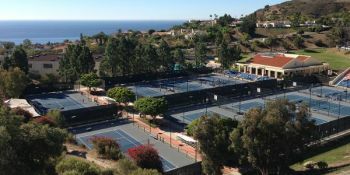 As part of the BNP Paribas Open, 8 men's teams (NCAA D-I) convene on the final weekend of the event to play the "Collegiate Challenge". 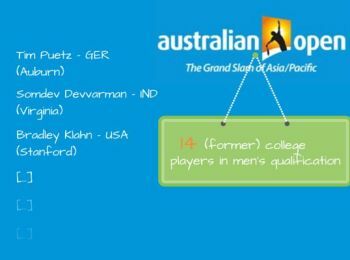 Ticket holders will be able to see some of the nation's best ranked tennis players including top 10 players #4 Julian Lenz, #7 Axel Alvarez Llamas, and #8 Yannick Hanfmann. The Collegiate Challenge offers an excellent platform for college tennis to gain wider popularity and is reason enough to dedicate this week's Friday Scholarship Guide to the action in Indian Wells. Two interesting headlines have appeared in the college tennis world recently, which we'd love to share with our readership! 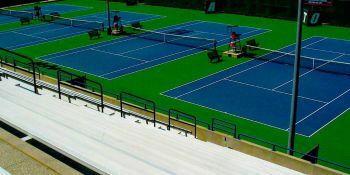 Firstly, there are excellent opportunities to watch first-class NCAA D-1 tennis either on national TV or online right now, from April 16 - April 26, 2015. 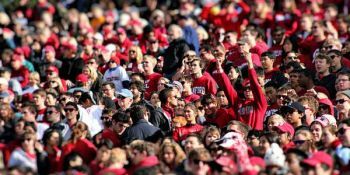 And secondly, the Big 12 conference, featuring some of the strongest of all college athletes, changed its rules about fan behavior quite a bit. You should read on, as they create an atmosphere on the court, which you simply do not know from pro tennis matches. 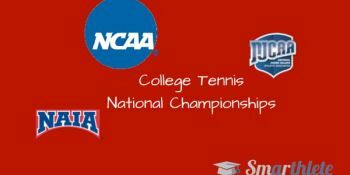 No-Ad Scoring Rules in College Tennis Here to Stay? 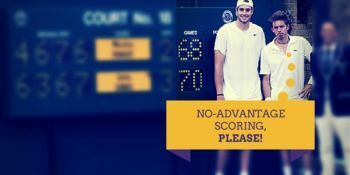 Will no-ad scoring be the future of collegiate tennis? 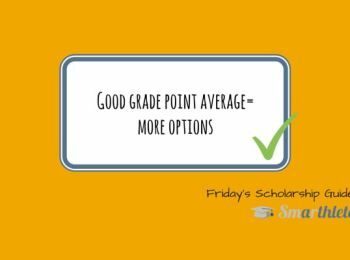 There is a clear move in that direction, and this week's Friday Scholarship Guide will take a look at what coaches and players think about the scoring format, which had in fact been college tennis standard decades ago. Does no-ad scoring really offer the potential to shorten dual matches and make it more attractive to watch...? I never thought I was gonna be #1 in the nation! 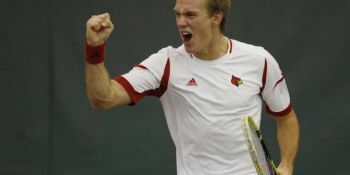 Sebastian Stiefelmeyer was one of 5 players who was at the top of the ITA NCAA-DI ranking during the 2014/2015 season. Since Sebastian's first appearance as #1 of the nation in January this year, he was consistently within the Top 8 of the ranking. 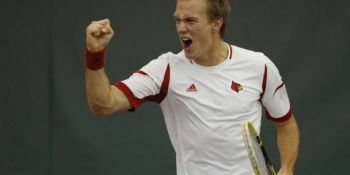 His last appearance as a college player is the NCAA Tennis Singles Championship from May 20 to May 25, 2015. 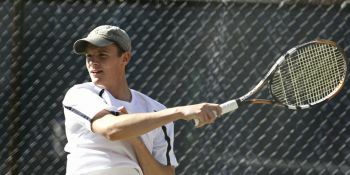 Read our extensive interview with him about his experience as a college tennis player, what he will remember the most, and why he recommends young fellow tennis players to get an education at college and play for a team. It's the NLI early signing period right now. Make sure you understand what it's all about in this week's Friday Scholarship Guide. Around 43,000 students sign an NLI each year - if you are to be one of them, it might be a good idea to get a little wiser about it. 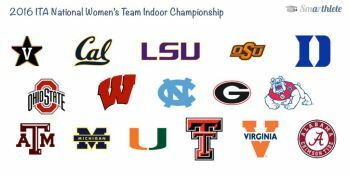 The next 4 days will see a selection of the strongest players of women's college tennis when 16 teams meet in Wisconsin to crown the Indoor Team Champion of 2016. 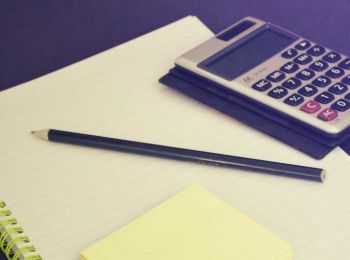 In today's Friday Scholarship Guide we are looking at the event itself and we are offering you our very personal interactive draw! Read on to find out more. 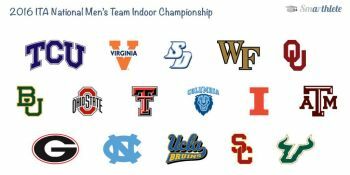 The first highlight of the collegiate tennis year 2016 is set to begin on Friday: the ITA National Men's Team Indoor Championships. Defending champion Oklahoma, last year's runner-up USC, and NCAA champion Virginia all find themselves in the upper half of the draw. 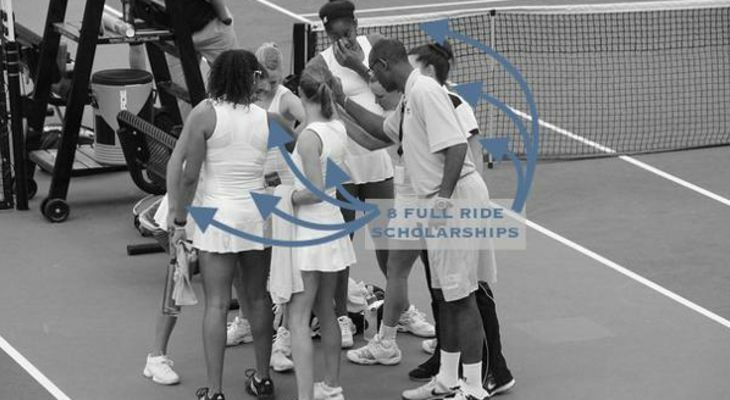 Top tennis with close matches is scheduled to happen...Today's Friday Scholarship Guide will offer our personal preview of the upcoming tournament.